If you're in need of mockups, I have this thing I made a while back. It was initially made as a concept for the special stages, but then I got too lazy to animate it and it was finished several months later as a wallpaper. It's looking better. It's just those tiles that need working on as they just don't stand out. Fixed a bit, whilst still keeping the psychadelic feel. mockup, which presents some aspect ratio issues with the background. That is gorgeous. But I think the squares are meant to transform from solid squares in the top half to square-shaped holes in the bottom half. That's what I was going to point out. Just as the Special Stage background in Sonic 1 involved an Escher-style mutation between two different backgrounds, the concept in here seemed to be based on that, only non-animated. Every diamond comes in pairs, and the opaqueness of both keeps changing as they reach the center of the screen, and once there they start becoming the opposite (windows in a more opaque background, instead of solid diamonds in a clean sky). Looks like they ended up adding a few more stars to fill the voids, anyway, so this concept might not be as noticeable in the original background. I hope you guys can pull it. I'm noticing a discrepancy between the size of the backgrounds and the resolution of the project. 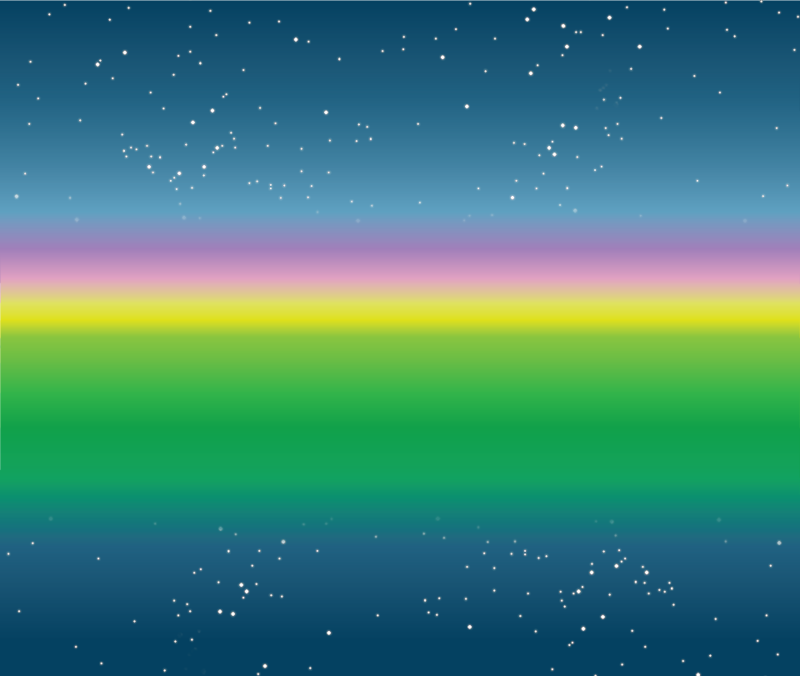 At 16:9, a good chunk of the bottom of the background is getting lost. Perhaps it would be more appropriate to extend the backgrounds horizontally and work with them that way? Personally speaking, I'd like the entirety of the diamonds to be visible, as I feel that the variance between the top and bottom is fairly critical to the feel of the stage. I'm aware it was cut off in the original game, but seeing the part of it that was hidden before really changed the feel of the special stage, and it would be nice to have the part that was missing to be present in S2HD. My image is 50% reduced from the PSD file. I can easily adjust it to another aspect ratio. During Special Stages, when you have lots of moving things to focus on and a constant wrapping BG, an opaque tube will surely look distracting. As per the starfield, I do agree with having a few big stars instead of a thick wall of small ones, it feels much more cartoony! Keep the good stuff coming guys! I'm liking this semi transparent half pipe with the different style of backgrounds. This is something I would love to see put in the game as well. I'm liking Chimpo's. It's a good twist on the tiles. Sheer beauty. I'm torn on the idea of keeping the squares/diamonds out. Both would probably look good, but I can't imagine it at the moment. Mmm... Guys, I've noticed you're both missing the middle row of diamonds, with partly empty and solid top and bottom halves. Then, from there to the bottom, all the diamonds are aligned differently. The design looks a bit more complicated than it seems. You know, Hill Top might look better with christmas trees, it's just that it wouldn't be the same. EDIT: Moved to next page since it was still incomplete when I first posted it. I don't know about anyone else. But I think the special stages would look be better if the characters are 3D, like Sonic is in this mockup. The characters are going to be 3-D, and CK is going to be making Sonic's model. Any chance we may be able to get a sneak peek at the model, if there's any portion that exists at this point of time? Also, I think I prefer Chimpo's background more. It feels more 'Sonic-y' in my own personal opinion. Don't know if he's started working on it yet. He said he was thinking about it yesterday but I'm not sure if he did or not.